His parents wondered what activity Mats might like to do in his spare time – when his classmates were playing football and running around outside. 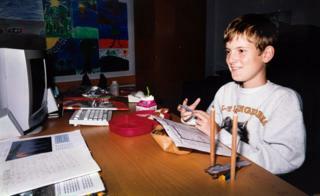 Mats had become a gamer. Gamers don’t go to bed early. He became Lord Ibelin Redmoore and sometimes Jerome Walker. “Jerome and Ibelin are extensions of myself, they represent different sides of me,” he wrote. There will be places you plan to travel to, and landscapes and cities you will master – some better than others. In some areas you will be on your guard, while in others you will love to hang out. You will find your local inn and meet new, interesting people. That’s the way the world is. 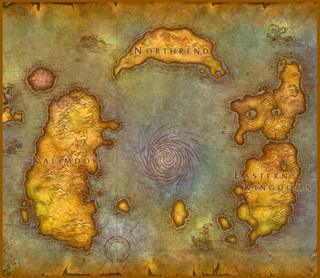 That’s the way Azeroth is. “When I went past Mats’s basement flat during the day and the curtains were closed. 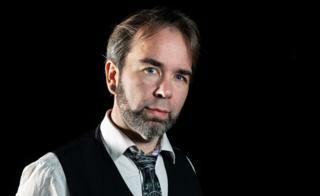 That is a sorrow I remember well,” says Robert, who works as Oslo’s vice-mayor of finance. But non-gamers don’t see the whole picture. They don’t realise it’s more than just shooting and point-scoring. And there was the matter of Mats’s circadian rhythm – his 24-hour daily cycle. “We didn’t understand why it was important for Mats to be online late in the evening and at night,” says Robert. “But of course, it isn’t in the morning or in the middle of the day that people are playing. That is when most of them are at school or work. Lisette Roovers, from Breda in the Netherlands, was one of Mats’s close gamer friends. She was also one of those present at the funeral in 2014. 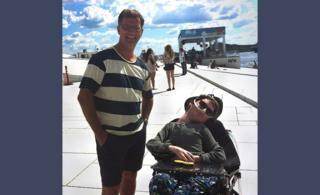 She is in Norway again – visiting friend Kai Simon Fredriksen, who also played online with Mats. “I knew Mats for many years. It was a shock when he died, and it has shaped me,” says Lisette, sitting on Kai Simon’s sofa in Hoybraten, in north-east Oslo. Lisette, now 28, was only 15 years old when she met 16-year-old Mats. Or, to be precise, when Lisette’s game character Rumour met Mats’s game character Ibelin. “We met in Goldshire,” says Lisette. “It’s not a nice place any more, but back then Goldshire was a pleasant little village, where you could meet new, interesting characters. I was looking for someone to role play with, and among others sitting around a campfire was the one I would later learn to know as Ibelin. Lisette says: “Mats was a good friend, sometimes a very close friend. 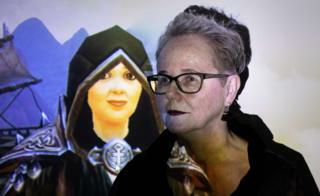 Teenage Lisette’s love of gaming concerned her parents. They were worried about her school studies and her apparent lack of a social life. Their solution was to restrict her access to online play. 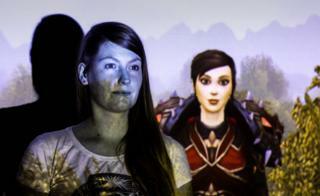 “Being separated from my game friends was hard for me,” Lisette recalls. 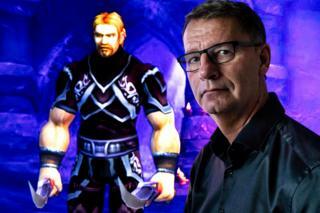 “Mats spoke quite a bit about these game characters – these avatars – but we didn’t think much of it. He told us about Rumour, among others,” says Robert. “She, or Lisette rather, sent him presents, including on his birthday. We thought that was touching, and we also teased him a bit about it. Then he blushed, really blushed. “So we thought of Lisette as a friend, because of these presents. They were tangible proof of real friendship, you could say. 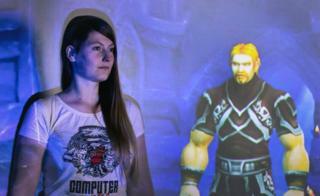 In World of Warcraft, you can either play alone or join forces with other players and form a group – or guild. Mats was part of such a group, Starlight, with about 30 members. “Starlight is a special group, because it has remained united for so long. That is probably why friendships in Starlight go so deep,” concludes Robert. Every year since Mats’s death in 2014, Starlight has held a memorial to share memories of their comrade. Is Kai Simon now talking about Mats, or about Mats’s game character? Maybe it doesn’t matter. Maybe this is how it was. The person and the character became one. In the summer of 2013, Mats was 24 years old. 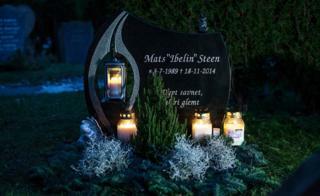 The Steen family were on holiday in Majorca, while Mats – unable to travel – stayed at home in his basement flat with his assistant. Mats had to have someone with him at all times. Through the years he had a number of different personal assistants – including his uncle. Luckily for Mats, some of the assistants were also interested in gaming. 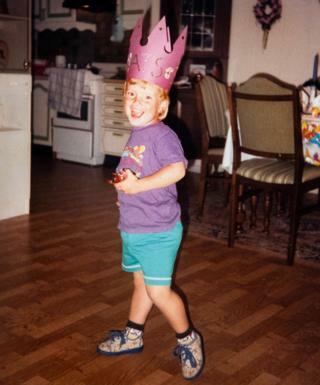 While his parents were away in Spain, Mats started his blog “Musings of life”. 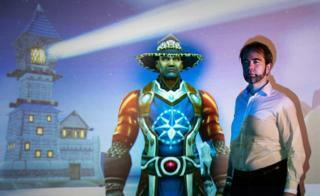 In a post titled “My escape”, he wrote about life in Azeroth. Mats shared his blog with the members of the Starlight guild – one by one. This was how they got to know about their fellow player’s offline situation. “I was floored. And I got a bad conscience because I had occasionally teased him in the game and had not always been totally considerate. In online play, she is Chit – a rough and ready character. Offline, she is Anne Hamill, a 65-year-old retired psychologist from Salisbury in the UK. “Because we meet each other without preconceptions, Starlight feels safe. Even for those who see themselves as outsiders. “Online play is a fantastic arena for meeting people and building friendships. We discover each other without stereotypes in the way. It provides the chance to find out if we like someone – and only then reveal our age, gender, disability or skin colour if we feel like it. “Ten days was a very long time to be logged off, because Mats was always there, when you needed someone to play or chat with,” says Anne. “You are important to us,” she wrote. “You are just saying that because you have learned that I am sitting in a wheelchair,” replied Mats. Critically ill, he had been admitted to hospital. Doctors managed to stabilise him and said he could soon be allowed home – but then the family were told to come as quickly as they could. “He was on the fourth floor at the end of a corridor. Every second was precious, the corridor was so long,” says Robert. “Mats got it through the regular mail,” Robert says. “The doorbell was ringing, flowers arrived, neighbours visited. We cried,” Robert recalls. Robert tried to think who he had to tell about Mats’s death. He remembered the gamers and wondered how in the world he could reach them. “That was when I thought of his blog,” says Robert. “You don’t know who plays a role in your child’s life if you don’t know their digital friends,” says Anne, or Chit – as she offers some advice to parents. At the end of the blog post about Mats’s death, Robert posted an email address for anyone wanting to get in touch. “I wrote and cried. Then I hit publish. I didn’t know if any replies would come… and then the first email arrived – a heartfelt condolence from one of the players from Starlight. Then came more messages of condolence – more stories of Mats’s gaming life. Robert says: “An entire society, a tiny nation of people began to take shape. When Mats’s group, Starlight, learned of his death, the members pooled money so that those who could not afford it had the opportunity to travel to Norway for the funeral. “While we are gathered here today, a candle is being lit for Mats in a classroom in the Netherlands, a candle burns in a call centre in Ireland, in a library in Sweden there is a candle lit, he is remembered in a little beauty parlour in Finland, a municipal office in Denmark, many places in England. All over Europe, Mats is remembered by many more than those who had the opportunity to come here today.